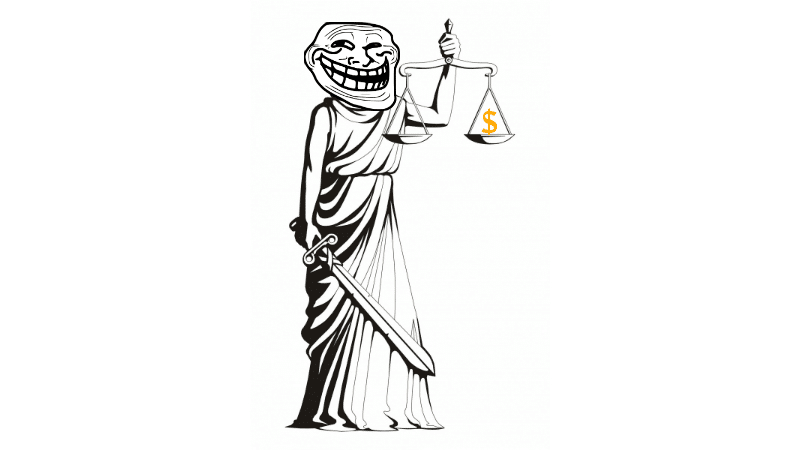 REVISITED: Beware of the defense attorney “copyright trolls” too. This post was originally written as a “rant” against volume-based “settlement factory” attorneys. At the time, the kind of damage they caused to accused defendants in bittorrent cases was unknown, as was their existence. Even today, settlement factory defense attorneys continue to feed inquiring ‘John Doe’ subpoena recipients false information. And as a result, settlement prices paid to copyright trolls often end up being artificially inflated. As of 4/17/2017, I have revisited the topic, and it is still as valid today as it was one year ago. I started writing this article because there is too much conflicting information floating around the web about whether to settle a bittorrent-based copyright infringement lawsuit. The attorneys who are causing this confusion are trying to profit from the current broken state of the copyright laws. These attorneys use fear tactics and manipulation to scare a John Doe Defendant into settling with their law firm. There are credible websites that blog almost daily on copyright troll issues. 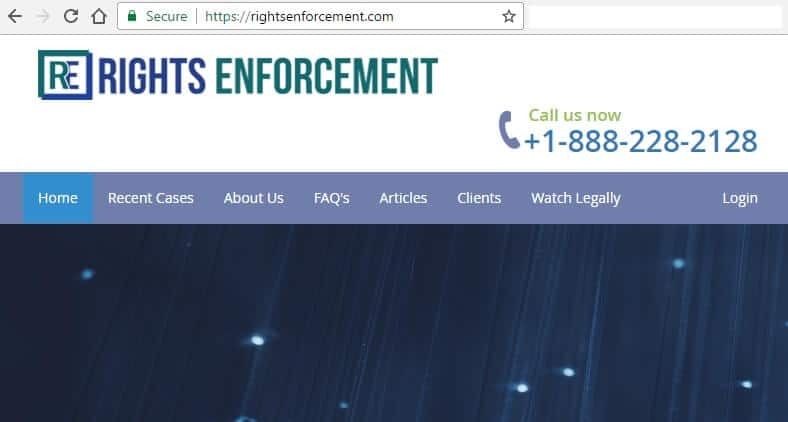 Because copyright infringement lawsuits are often based on scare tactics, and because copyright troll attorneys name only a small sliver of defendants sued, ignoring a copyright troll and his threats can be a good strategy. IGNORING A COPYRIGHT INFRINGEMENT CLAIM AGAINST YOU CAN OFTEN BE A VIABLE OPTION TO RESOLVE THE PROBLEM (WITHOUT SPENDING $$$$ ON A LAWYER). Thus, beware of the so-called “defense” attorneys who tell you that you will lose your home and your life savings if you do not settle. What are “SETTLEMENT FACTORY” defense attorneys? NOTE: In this section, I give you the red flags to look for to spot these attorneys, and I hope this helps clarify some of the conflicting information you get from speaking to different attorneys. “SETTLEMENT FACTORIES” are what I call law firms who focus on providing apparent “low cost settlements” to clients (as you will see, the settlements end up not being low cost). From a business perspective, more attorneys for the business owner means the ability to make more phone calls to solicit more accused defendants [to process more settlements], and the ability to “capture” more clients for their law firm means more profits. SETTLEMENT FACTORY law firms PRE-ARRANGE settlement amounts. Rather than actually negotiate a good settlement for their client, settlement factories run what I refer to as a “volume business.” They PRE-ARRANGE an often inflated settlement price with the copyright holder, so the copyright troll will agree to the arrangement. Why settlement factory attorneys are PART OF THE PROBLEM of copyright trolling. This arrangement creates a “cottage industry,” where the defense attorney and the plaintiff attorney (who are supposed to be opponents) are allies for profit. Settlement factory attorneys are part of the problem of copyright trolling; they are not part of the solution, and the only one that gets hurt is the accused defendant. Why? Because with settlement factories, the accused defendant almost NEVER gets the lowest possible settlement amount. SETTLEMENT FACTORY law firms DO NOT NEGOTIATE SETTLEMENT AGREEMENTS either. What compounds the problem is that negotiating the settlement is only HALF of the solution. The SETTLEMENT AGREEMENT itself must also be negotiated. However, settlement factory attorneys do not negotiate settlements either (even though they tell you they do). Why settlement agreements need to be negotiated. Settlement agreements need to be negotiated because “boilerplate” settlement agreements contain ADMISSIONS OF GUILT and UNFRIENDLY LANGUAGE. they do not release the accused defendant from liability. As a result of this article, settlement factory attorneys will take steps to hide their scheme. For me, where writing this article will become infuriating is that suddenly these attorneys and their “beefed up” staff of hired attorneys will now start advertising 1) that they spend the time to actively negotiate the best settlement for their client, and 2) that they take the careful time to negotiate the terms of the settlement agreement so that the accused John Doe Defendant will be released from liability and the negotiated terms will properly protect the client’s rights. Sure they will. 2017 UPDATE: When I mentioned SEO OPTIMIZED content, I am referring to the fact that settlement factory blog articles lack content. In our blog, we have over 200+ information-packed articles that we wrote TO EDUCATE. Obviously many clients came to our firm as a result of our articles, and this is fine. However, settlement factories have ONE MOTIVE ONLY: TO PROFIT. Look for sites that advertise to you rather than inform you and educate you. 4) Last, but not least, check the EARLY ARTICLES of the blog to see whether the attorney actually tried to fight these cases and hash out the legal arguments, or whether they were merely reporting on the lawsuits already in existence to attract new business. I call these attorneys “me too” attorneys, and you can usually spot them because all they do is report the cases. In 2010, I and a small handful of attorneys were contacted by the Electronic Frontier Foundation (better known as EFF) to help understand and resolve the developing copyright troll problem. This was back when ISPs began sending letters out to their subscribers informing them that their ISP would be handing out their contact information and their identity to the plaintiff attorney / copyright holders unless they filed objections (or, “motions to quash”) with the courts. Thus, I credit the EFF for even noticing the copyright troll problem and contacting us to figure out what to do about it. Unfortunately (or, fortunately, however you see it), that initial list of 20 attorneys has grown to over 100+ names, and some attorneys have negotiated with EFF to list them as representing clients in multiple states, hence increasing their visibility in an ever-growing list of lawyers. Watch for these attorneys — they are usually the “settlement factories” I referenced above, and again, caveat emptor. Let’s pretend, for a moment, that you did not like me or my use of pretrial strategies (often making use of federal procedure) to defend a client. Or, let’s pretend for a moment that I could not take you as a client (e.g., because my case load was full, or because I did not have time to speak to you about your matter). Because there were only a handful of us attorneys on the original EFF list who knew anything about these copyright infringement lawsuits, over the years, we have become friends and have helped each other out on many of the lawsuits in which we represented both John Doe Defendants and “named and served” defendants. Some of these attorneys are still around today, and some have moved on to other areas of law. Some of them have stopped taking clients because fighting mass bittorrent cases has become more burdensome than the effort was worth (especially when some copyright holders do not play fairly in discovery [think, Malibu Media, LLC]). Finding “that special client who will pay my fees to fight this case to trial” for many attorneys has become an unrealized pipe dream, and is something us attorneys often discuss. If you truly want to fight your case, I have nothing wrong with either me, or anyone else I trust representing you in your lawsuit (I will happily tout another attorney’s merits and advanced skillsets when speaking to clients). AND, I will happily refer you to someone if I find that one of my peers would better assist you. I *DO NOT* believe in referral fees, nor do I “share the workload” with other attorneys (this is code word for “I referred you this client, so pay me a piece of the legal fees you receive and call it paying me for my “proportional efforts.”). This is something that is often done in my field which, in my opinion, needs to stop. Over the years, I have upset many non-copyright attorneys who know nothing about these cases. In the typical fashion, they call me with a client they would like to refer to me (coincidentally, asking to share in the fees, but not in the work). I have rejected each request. So in hindsight, while I thought I’d be reintroducing “copyright troll” subpoenas and basic copyright infringement concepts to clear up some conflicting information found on the web, instead I am providing a clear warning to those who are being actively solicited by law firms. A law firm simply should not be calling you or contacting you to solicit your business. Copyright trolls sue many John Doe Defendants in one case, but only a small number of them are named and served. When you are evaluating your options, STOP AND CONSIDER THE OPTION OF *NOT SETTLING*, BECAUSE *NOT SETTLING* A CLAIM OF COPYRIGHT INFRINGEMENT CAN OFTEN BE A GOOD IDEA. Similarly, in a lawsuit, DOING NOTHING MAY OFTEN BE YOUR BEST STRATEGIC MOVE, as counterintuitive as that might sound. Again, this is because much of the ‘copyright trolling’ problem is based on a bluff — namely, that the copyright holders have evidence against you, and they will take you to trial if you do not pay them money to settle. A Settlement Factory attorney makes NO MONEY if you ignore. When you are bombarded with attorneys and law firms who actively market their fear-based services by using “Google AdWords” (ethically or unethically “buying” more well known attorney’s names as keywords so that THEY show up at the top of a search). Then, those attorneys have their “assistant” attorneys calling you and pushing you to anonymously settle the claims against you, think twice. Is this person trying to get you to be yet one more client in their “volume” business?? In every one of my calls, I discuss what I call the “ignore” option which in many people’s scenario is a viable option. In many cases, I even push a client towards the “ignore” side of things. WHEN TO CONSIDER THE “IGNORE” OPTION. 6) simply because ignoring is the only option in that person’s situation. In summary, this has been a stream of thought article, but if you have made it to this point, you now understand the difference between a defense attorney who does settlements (among other forms of representation), and the settlement factory. If the attorney you are speaking to is running your case as a volume business, or he is pushing you towards a “quick anonymous settlement” without showing you the merits of either 1) IGNORING, or 2) DEFENDING the claims against you, beware. And if you need help and want my honest opinion about your case, or whether a particular attorney is engaging in a certain practice, just ask me. I do not need to have all of you as clients, and I will answer you honestly. And if you need, I will provide you a referral. I suppose it is more appropriate to celebrate when a blog surpasses 1 million views — probably because the website owner doesn’t see the 999,000 mark because he’s not paying attention. But with the recent fiasco of learning that CEG-TEK possibly has become RIGHTS ENFORCEMENT (#RightsEnforcement), or at the very least, their entire business infrastructure and proprietary BitTorrent tracking technology, along with their client list has been possibly sold or licensed to Carl Crowell, I’m paying attention to the analytics because the analytics are helping me to piece together the story. 999,000 page hits results in roughly 345,000 unique visitors since we started the blog in mid-2010. Subtract the regular visitors (including myself and my staff) and compare that number with the number of BitTorrent-based copyright infringement lawsuits that have been filed. Considering that I have always been careful to make our blog a contribution to the fight against ‘copyright trolls’, seeing this number gives me satisfaction that at least our message is being heard. I remain a loyal advocate for each of you, and it continues to be a daily adventure to fight the misapplication and misuse of copyright law against BitTorrent users. P.S. – Coincidentally, as I posted this message, WordPress informed me that this was my 200th post. How exciting!